HOUSTON – (By Cynthia Lescalleet, Realty News Report) – Now that CBRE Houston has consolidated is local offices under one roof and relocated into its “Workplace360” space in the Williams Tower, its 297 employees have a dozen different types of sleek-and-streamlined work settings to use each day. And, as their tasks change up during the day, so can the environment in which they choose to toil. This more flexible arrangement of “activity-based” work spaces, supported by enhanced technologies – and requiring new office behaviors – is intended to further encourage collaboration, efficiency, productivity and wellness, the buzzwords of “office of the future” design and use. 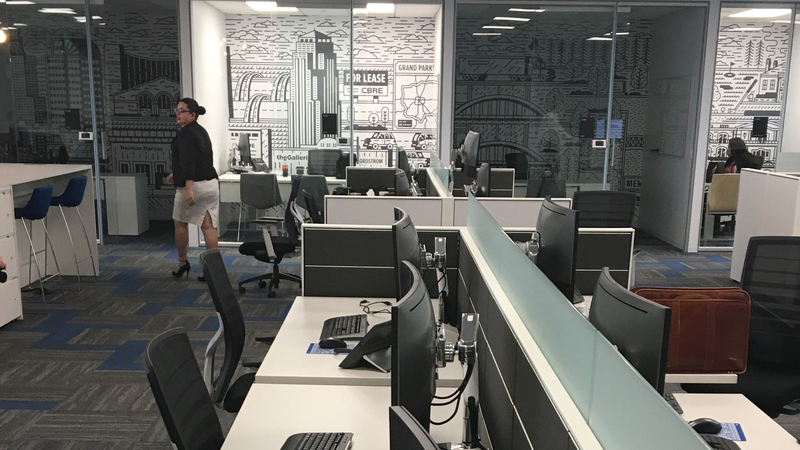 “Welcome to the future,” said Cody Armbrister, senior managing director, at a Thursday press tour of the new space, located in Williams Tower, a 64-story Hines building adjacent to the Galleria. The office’s launch a month ago followed 28 months of Workspace360 preparations and a precision move conducted over President’s Day weekend. Workers returned to an open plan space with color-coded “neighborhoods” of business functions to break it down a bit. A welcome desk, the main floor’s nerve center, is staffed by hospitality-trained concierges, who also provide support services to their co-workers. Workspace options now range from simple desktops (with adjustable height capability and oversized, curved monitors) or an “office for a day,” to hotel-like spaces that are suitable for small meetings with clients or co-workers, to fully-loaded presentation-worthy conference rooms, all available by reservation. Its top-of-the-tech-line “Liquid Galaxy” space, for example, features a wall comprised of seven enormous and eye-popping screens. They’re linked to each other and to CBRE’s deep trove of market related maps and market information for taking clients on a virtual tour of the city (or others), zooming in on property listings and, if necessary, rooftops and traffic patterns. This modern setup, however, also means there are no assigned or permanent offices (aka it’s “address-free”). Or desktops for that matter. Regardless of an employee’s title or corporate role. CBRE Houston employees, including Taylor and Armbrister, each have an assigned locker and a lockable lateral file drawer; every work station is equipped with a drawer of office supplies, from highlighters to tissue. That’s it. Other shared components include sections of shelving to display profession trophies and accolades. And the phone system patches in wherever a worker lands or migrates. Even the printer follows the user, something that not only reduces the amount of paper, but increases the privacy of anything being printed. A small chip on the office key enables that function, which also transfers between CBRE office locations. 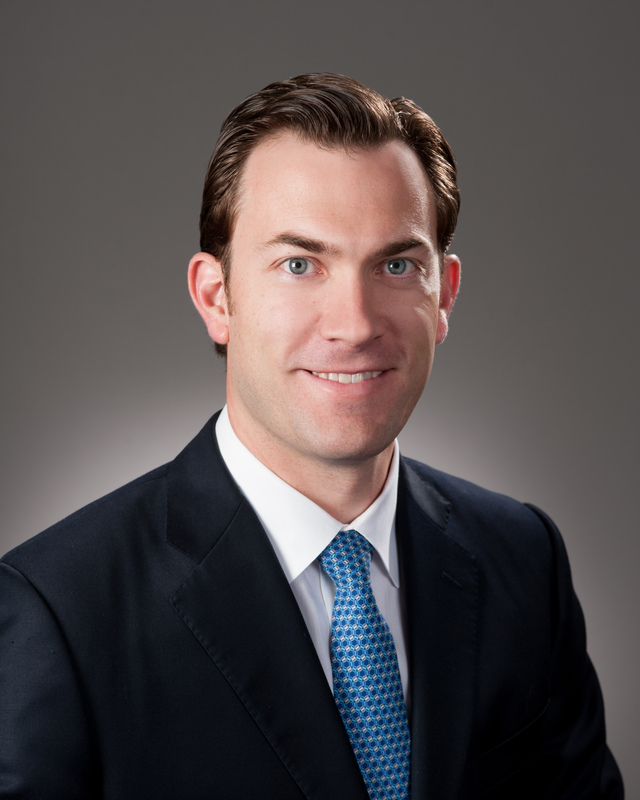 The Houston office reboot is CBRE’s largest so far, at 77,000 square feet. Each CBRE office rollout reveals a few ideas to incorporate in the next, Armbrister said. In Houston, for example, complementary business functions are located near each other for better synergy. “We studied ourselves,” he said of the nuances put in place. For example, they determined that most workers were only at their traditional desks 48 percent of the time. There were better ways to leverage that space, he said. 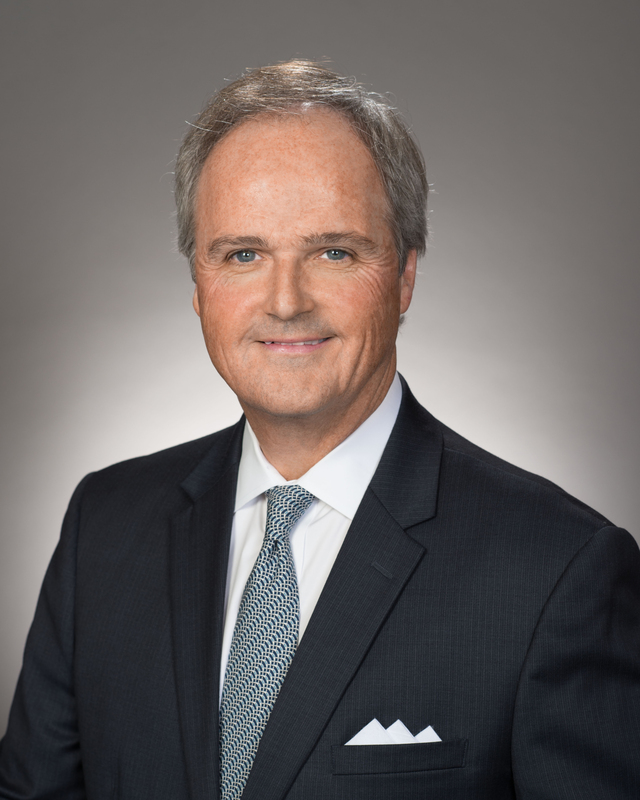 The recent design-function-efficiency undertaking in Houston also consolidated CBRE Houston’s operations under one roof from its downtown office in the Bank of America Center and from offices in 2700 Post Oak Blvd. The move accommodated all current workers while reducing the total footprint by about 22 percent, Armbrister said. The 22 percent smaller footprint brought cost savings in terms of rent, electricity, emissions, water consumption and so forth. The office is seeking LEED certification. However, with the savings from efficiencies came the need to reinvest some in the technology that makes the new workplace tick, he said, declining to put numbers to any of the savings and reinvestment. Despite smaller total space, there is room for future growth, he said. The company now occupies portions of Williams Tower’s second and fourth floors and the entire fifth floor, formerly a trading room for a financial services company. Rebooting that mega-space meant peeling back nearly 40 years of layered finishes to get a level floor and encountering a few surprises behind the ceiling tiles, Armbrister said. It was all worth it to gain the large-scale floor plate, above-standard ceiling heights and the expansive views, he says. A new staircase, minimalist in design, was cut into the floor for direct access to the lower level. Plus, it’s a really cool design element. Among the features of the new layout is a “neighborhood” division of the business functions, with north, south, east and west quadrants of the space each borrowing Houston visuals from that geographic orientation. Pop-art style custom wallpaper used on interior walls depicts icons from the Texas Medical Center, the industrial East End or Post Oak itself. 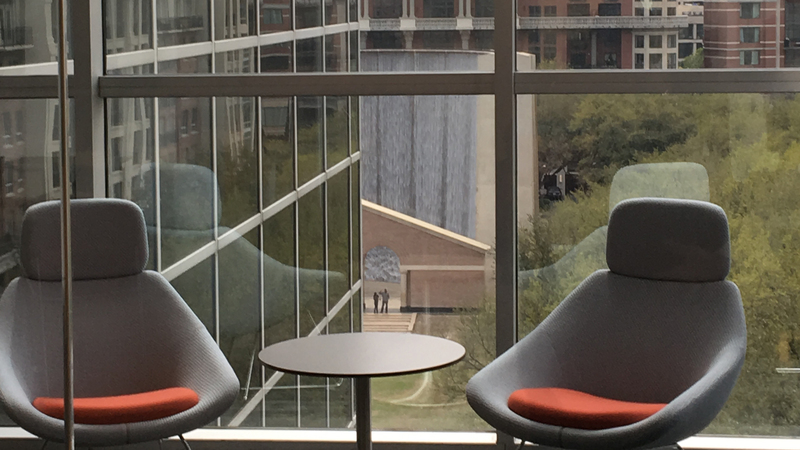 Conference rooms also carry Houston references in their names, picked by workers, and artwork. Color coded elements in the carpet and arcades also help define spaces devoted to various business functions. Every neighborhood cluster has its coffee station, and complimentary snacks are deliberately healthy. Wellness rooms are tucked into the floor plan. They have privacy doors, unlike the work booths, glass walled temp offices and gathering spaces. In revising the space usage, CBRE Houston worked with Gensler, that architecture firm that has been on the forefront of “Office of the Future” design for a decade and has worked with a range of industries, from energy to airlines to media. 94 percent agree they are able to more easily collaborate. And next on the Workplace360 redo roster? CBRE Atlanta.